I'll admit, it's a really cool part of my job – new and crazy technologies are brought to me like they would to VC or on a show like Shark Tank. It's devices and technologies that the consumer market won't see for years. Things I need to remind myself are amazing simply because in my mind, it's so far fetched that this is happening before my eyes. Probably the most wild of instances will be when I am browsing a tech blog and see something like this being demonstrated. It will click in my head and I'll dig through the mess that is my office (picture omitted due to embarrassment) find a box, open it, and find an evaluation sample of this amazing thing I'm seeing in this article. Now I wish my job was done there - this thing is cool, let's sell this. But now starts the arduous process of evaluation, when the shiny must be put to the side and a real-world look at the product must be done. This is where the "cost" of cutting edge comes into play. There's some aspects that are pretty simple to comprehend, and others that are much more complex and, more times that not, require a leap of faith assumption to reason with. This is probably the most obvious. Cutting edge comes at a monetary cost. These days, this cost can easily be masked when it's a consumer good. A good example is mobile phones; new features and better hardware are almost an annual event now. Yet the price remains very close to the same. Large orders and large margins allow for the added cost to be hidden well. I harp on this point a lot in my blog posts, but SparkFun doesn't have that luxury. Our order quantities are much, much smaller, so prices go way up. So you might ask, "Why not buy in larger quantities?" Sometimes we do, but the amount of items in our "large quantity" and a consumer good large quantity are orders of magnitude in difference. I always giggle a little when a supplier gives me a great price in quantity because my next question is always "define quantity," to which they give us a number that would represent almost a decade's worth of stock. So most often, we're forced to consider whether we can justify the price of this technology to our customers. Going along with price, the other obvious consideration is risk. Beyond the financial aspect of bringing in cutting-edge technology comes a lot of other possible pitfalls. While it's not as pronounced as the consumer market, our market does show demand for established products. This makes them easier to consider and estimate interest. Cutting edge is a bit different. We're essentially going off the assumption that a lot of people will think this is cool and buy it. This is where the whole buying large quantities issue comes back into play. How you would usually mitigate risk here is start off with a smaller amount of the product. Evaluate sales and make your next build or purchase suit the sales numbers you're seeing. This makes getting better pricing through larger order quantities difficult. So a balance must be found. The initial novelty of the technology or product is tough to get over. You just saw this thing do something amazing. You're not worried about interfacing with it, practical uses, or anything that you need to be thinking about when looking into a new product. But these are all part of the consideration. Here's an example. 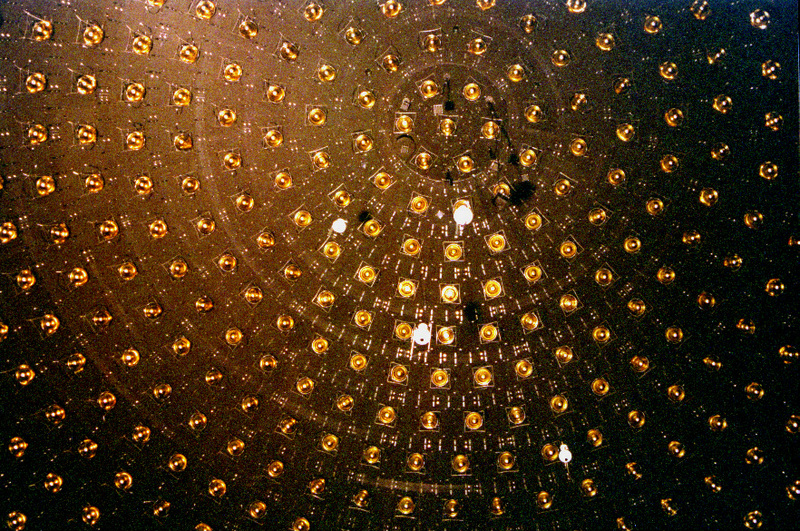 Let's say we find or are brought a device that is a low cost Neutrino detector. That's cool, this is something that could allow anyone to detect Neutrinos. But who is our target demographic for that? How many citizen scientists or even researchers will this benefit? What will they do with it? Here we have a really cool technology that we would love to promote, but what's the use if its functionality is strictly limited to detecting Neutrinos, a solution that's useful to very few? You might have noticed my example uses an established technology at a "low price." Sometimes the value in a cutting-edge product or technology is a comparative "low cost" of its functionality. It might be the ability to accomplish something for $250, when it used to cost $5000. That's neat and should put that technology at a point where it's more accessible to everyone. But what if the value is still lost on the customer? Part of the difficulty of cutting edge is proving the value of the functionality or price point. 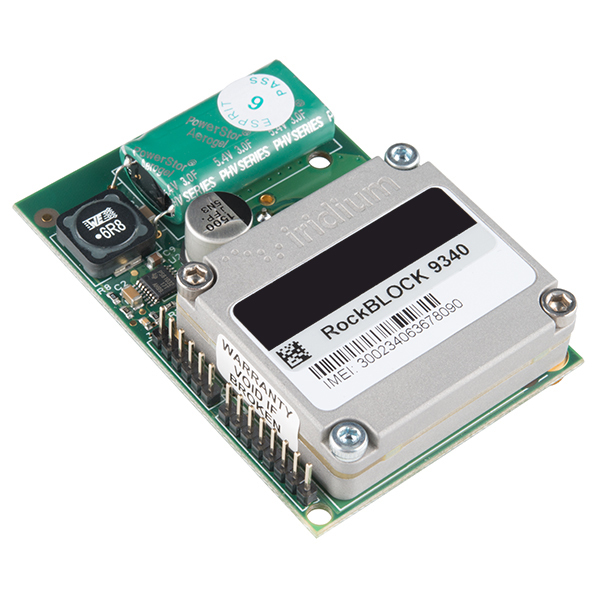 Most recently we started stocking the RockBLOCK Satellite Communications module. The cutting edge aspect of this was affordable satellite messaging, and the ability to send messages over the Iridium Satellite network. For $250 and a fee for each message sent, you were able to do something that used to cost thousands. Yet still, the price point was seen as ridiculous to some for what could be accomplished by cellular in a good number of situations for a fraction of the price. Now, most saw this for what it was, but the point remained: If we weren't able to convey the value of the product or the technology, would our customers be able to find it on their own? We've established that there's value in the functionality of this cutting edge technology or product. Now comes the final big question: How easy is it to use? Usually products or technologies that would be described as cutting edge are not the easiest to use. Companies want their new part or tech in new products as soon as possible. They want to be seen as a leader in this technology, a pioneer of the market. So the resources around such are still often in their infant stages. The companies assume their customer is an informed engineering team who have one end goal in mind. As for any questions their customer might have, the company's FAE can field them easily. But as our customer, often enough you're not a team of informed engineers. You don't have a very specific use for this in mind. Yet, as I pointed out in my last post there is value in the company getting their tech in your hands. Furthermore, (and in the simplest terms possible) SparkFun sees something we think our customers will dig and we want to do our best to let them have access to it. So we figure out what value we might provide to the product or technology by making it easy to use for the average hobbyist. But there are limits, and only so much value that can be added before we need to weigh usability against other factors. Here's where a multitude of issues (let's call them Pearce Headaches) show up. The first of which is the projects that end in proof-of-concept level functionality (I know, that was the last subheading. These two mesh together in some places). The company wants their technology out there being used, but they're not ready to provide full support for customers on our level (and buying power). So what is available is very basic functionality of the technology or product. This raises big questions on how usable our product would be for our customers. What if it were a gas sensor which can only detect gasses in a closed jar? It proves the functionality of the sensor, but who's going to use something that only works in pre-determined, closed systems? There are situations where we can find value in products at this level, but they're very rare. The next big one which more often than not I find to be the deal-breaker is costly or unreasonable toolchains or interfaces. We're big on toolchains that come at no additional cost to the user. So if they have to pay a big price for a proprietary GUI, it's more than likely not going to work for us. This is a pretty understood idea in our market, so rarely do we have to confront this problem. On the other end of things is the unreasonable tools or interfaces. These pop up often. I could write all day about these issues, but things like buggy tools, obscure programming languages, or limited technical information can very easily (and very often) make the product difficult for us to justify. I will talk about that last one though: limited technical information. This comes as a very large point of contention around here. We're an open source company, and we promote the open sharing of technical information. But, especially in cases of cutting edge technology, products will come to us with limited technical information. Certain components might not have publicly available datasheets or proprietary firmware. But is that reason enough to discredit a cool and useful product or technology? Yet another area of consideration. It's always there, always. If one of the topics above aren't a problem, something else is. There's always the catch with a cutting edge technology or product. The question then becomes, "How big a problem is it?" 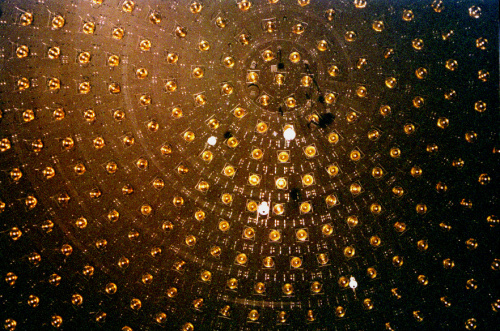 Take our Neutrino sensor example from before. Let's say we feel there's a viable demand for low-cost Neutrino networks. Its toolchain is free, open and useful, and its technical documentation is plentiful. Our Junior Engineer will be running through vetting the product, figuring out how to get it running, then they hit the snag, and it's a big one. For the Neutrino sensor, it'd be background suppression. In order to detect the faint Neutrinos, a sensor network needs to be shielded from most cosmic rays. So while still accessible by anyone, in order to work well, it needs to be deep underwater, underground, or under the ice of one of the poles. We can't ask that of our customers for something we call "low cost." Here's what a Neutrino Sensor Network actually looks like. This one in particular is part of the MiniBooNE experiment. Supporting cutting edge technology is a tough one. I wish SparkFun had the ability to provide all cutting edge tech in ways that work for us, but in reality, very few of these cool technologies or products make it into our catalog, as we balance the cost of cutting edge, both from SparkFun's standpoint and our customer's standpoint. We're always looking out for some that will work for everyone in 2016! Friday Product Post: Simply Simblee! Regarding trying to buy in large quantities not really working well for a company the size of SparkFun (or Adafruit, Pololu, Seeed, etc) is not only as you say "... the amount of items in our âlarge quantityâ and a consumer good large quantity are orders of magnitude in difference." but also the amount of items in your "large quantity" and a consumer good "SMALL quantity" are also orders of magnitude in difference. Hobby engineering (I first said electronics, but robotics has quite a bit of mechanical engineering involved...) is still a niche market. Thank you for continuing to service this little niche market. +1 on free (or at least cheap) tool chains. I once entered a design contest for an MCU. The top prize was around $3,000 - which was just barely enough to cover the commercial license for the dev tools once the contest license expired. I can remember when Digi-Key was a supplier strictly to hobbyists. Back in the 70s, things like physical dimensions of capacitors were almost impossible for the average hobbyist to get, but Digi-Key carried only top quality parts from reputable companies (such as Panasonic), and included dimensions (and other key info) in their catalogs. They eventually grew to where they are today, the "go-to" company for (professional) electronics houses, especially when you "only" need 10,000 of a part and need it by the end of the week. I've even heard Arrow reps (Arrow is one of the "big names" in "big quantity", e.g., a million parts a month) say "Digi-Key or Mouser can probably get you that quantity faster than we can". Fortunately for the hobbyist, Digi-Key has never forgotten the "little guy". Sure, they can, and often do, give a big price break for big quantities (I've found times when it's cheaper to buy 10 than to buy 2 of a particular component, or buy 100 than it is to buy 3), but they're still willing to handle the $20 dollar order cheerfully and give it the same attention that they give the $20,000 order. The cause/effect direction is unclear, but they are also one of the "go-to" places for the Engineer who's trying to get parts to make a couple of prototypes for what, 6 months from now, is going to be the "thousand units a week" gadget. Anyway, I hope that SparkFun can follow the same trajectory as Digi-Key did several decades ago -- just never forget your roots! Same in pharmaceuticals-- if it's any comfort. I once called a big chemical supplier to offer them the "opportunity" to supply us with 2-3 45 gallon drums of a "special solvent" (with special up-testing of course!). Very nice gentleman on the other end said, after a long pause, "You do understand that our normal unit of measure for this "special solvent" is by rail tanker?" Live and learn. I really enjoyed this post, Pearce! Exactly, there's always the chance that the tools are the ones that are best suited for the job, but if it's something that nobody knows how to use, it makes things difficult. Pearce, I know for a smaller company ordering things at the prices that fit best is difficult. With that said, do you negotiate and have suppliers compete with each other on items? Sometimes suppliers will compete (some suppliers will price match), but usually qty's of Sparkfun are rounding errors for the big distributors. The best thing suppliers can bring to the table is lead times and small (sub 10,000) qty's. It also takes a lot of time and energy to negotiate prices well. Big companies can get away with it because they are selling millions of units. There is much more to gain. When there are smaller qty's the effort required quickly outweighs the savings gains. Sometimes it's effort better spent finding the next new thing. Casey, your true talent is wasted on the Aerospace industry. We do occasionally. Sometimes it's not always about end price, but other factors could include purchase increments, payment types (some people want really sketchy payment methods), or domestic vs international shipping issues. We try to be flexible and go with the option that will give us the cheapest retail price, which does include checking with multiple sources.